Are you ready to win more? Of course you are. On day 19, our prize is provided by the good people over at Asus. Ready? Someone will win a Travelair AC, VivoWatch, Asustor AS6204T NAS, and RT-AC5300 router. The competition winner will be picked at random from all eligible entries that arrive by 09:00 London time on the closing date, January 5, 2018. 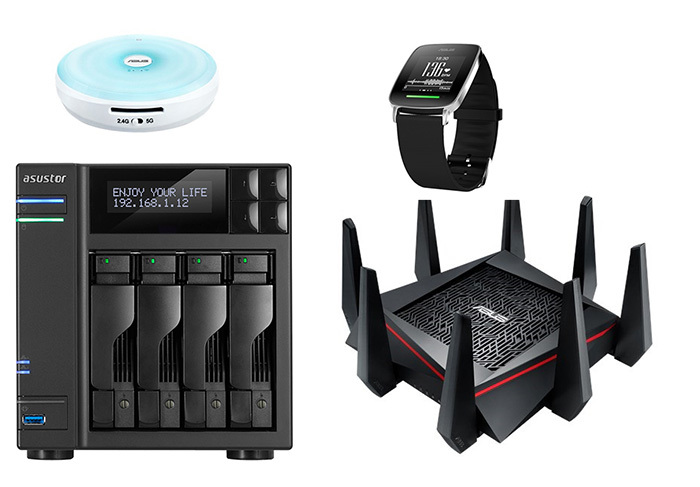 The prize is a bundle comprising an Asus Travelair AC, Asus VivoWatch, Asustor AS6204T NAS, and Asus RT-AC5300 router. Blimey! The NAS box and router's worth ~ £700 alone.